The drought is not gone. While the recent rain was greatly appreciated, most of North Texas is still behind on rainfall for the year, so drought does continue. But it is great to see improvement! And that comes with getting rid of any "Extreme" drought in the area from last week to this week. 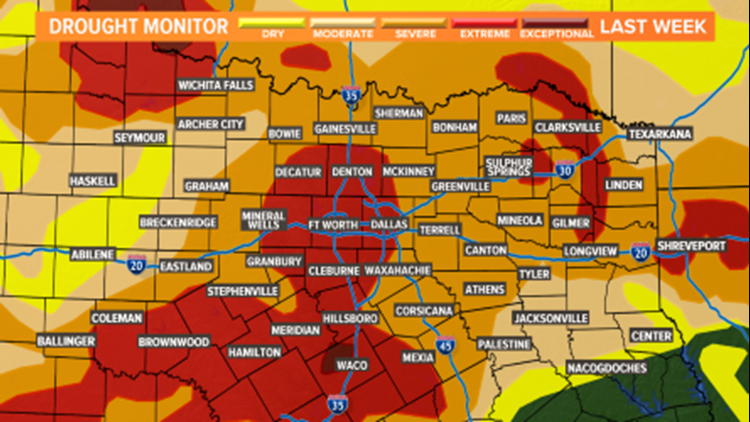 With the latest drought update, almost all of North Texas is in "Moderate" to "Severe" drought. Multi-inch rain totals across the area were enough to erase the "Extreme" drought, but it was not enough to get rid of drought entirely. 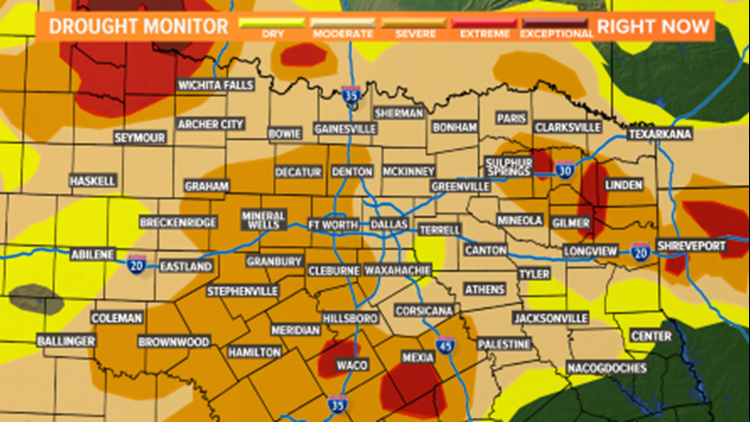 Worst of the drought is along and west of I-35/I-35W where "Severe" drought exists. The other area of "Extreme" drought in North Texas exists from Sulphur Springs off into East Texas. Because of the recent rains, some counties have dropped their burn bans. 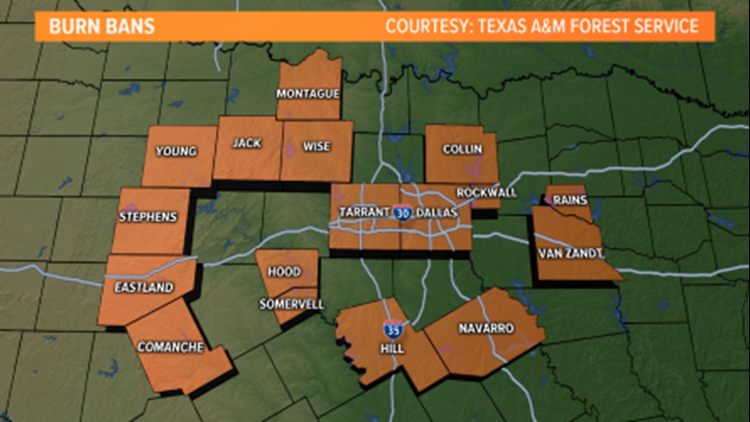 However, there are still quite a few counties that continue to have burn bans (including Dallas and Tarrant). Burn ban information could change over the next few days, so check with your local county or back with us to see if your ban changes going forward. So have lake levels been helped by the recent rain? For the most part, yes! Lake levels changed by a couple of inches to over a foot in some places, but most lakes are still well below their normal conservation level. So the lakes benefited from the recent rain, but don't expect to see everything back to normal just because of this one rain event. Overall, any rain is good rain in North Texas especially during what is typically our driest month of the year (August). The spring was so dry and the summer up until this past week has been so dry, that we still have a large deficit to overcome. Here's hoping for more rain in our future!